Bruntsfield Links Golfing Society assistant professional Michael Kanev is seeing immediate results since completing the Certified Putting Instructor (CPI) Course. Kanev, who completed the CPI Course in only 10 days, taking advantage of the special subsidy offer provided by the PGA in Scotland, was most impressed by what he learned, as well as the instant success he has had in putting lessons with his students. “The CPI Course was eye opening. It was brilliant. 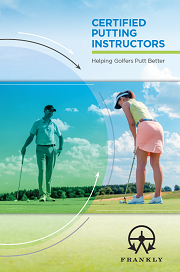 It added to my knowledge of putting and has helped my own putting. The fact that it was online meant I could do it in my own time and the initial financial outlay has been covered by a few lessons I have given since completing it. “The thing that surprised me most was the fact that my students started putting better straight away. The information I learned from the CPI Course has revolutionized how I teach putting”, said Kanev. Edinburgh based Kanev started playing golf at the age of 12 at Carricknowe Golf Club, and wanted to become a professional from the very beginning. He was a decorated amateur, having been selected for the Bulgarian national team after winning the Bulgarian Amateur Open in 2006. “A highlight of my amateur career was playing in the Eisenhower Trophy in 2006 in South Africa at De Zalze Golf Club and Stellenbosch Golf Club. I competed alongside players like Rory McIlroy, Oliver Fisher, Richie Ramsay, Chris Kirk and Jamie Lovemark – which was a fantastic experience! “In my final round I was playing well but started off putting poorly, missing a few short putts and steering my putts for the first nine holes. A friend then told me that he believed I was going to putt well on the back 9 and told me to relax. This freed me up and I made 5 single putts in a row,” said Kanev. 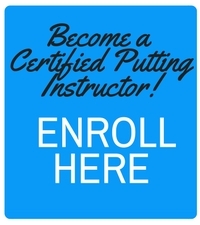 This experience of putting freely is something that Kanev believes is extremely important, allowing golfers to reach their potential on the green, and is something that the CPI Course teaches. It wasn’t long until Kanev turned professional in 2010 and pursued his dream of playing on the European Tour. After a couple of years of playing, he decided to switch to become a PGA professional and turn his focus to coaching, which he felt was a better fit. “I decided to become a PGA professional as I enjoy coaching and want to make it a big part of my career.